Even within its 20 tracked cities, the Case-Shiller Index fails short as a housing market barometer. 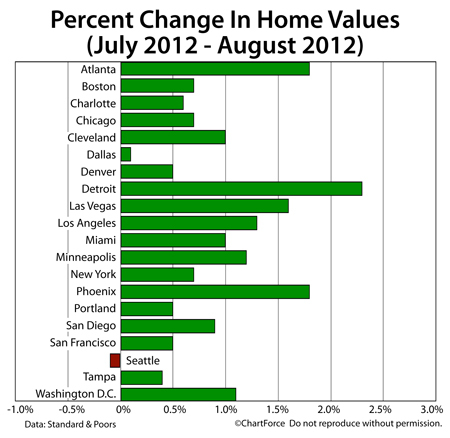 This is because — even with cities — home values vary. 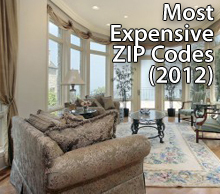 Some Westchester zip codes perform better than others, for example, as do some streets within Valley Stream. The Case-Shiller Index can’t capture markets with that level of detail. The real estate trade association tell us that 80% of U.S. homes under contract go to closing within 60 days, and many of the rest go within Months 3 and 4. In this way, the monthly Pending Home Sales Index can foreshadow to today’s Westchester home buyers and sellers what’s next for housing. Mortgage markets ended the week slightly better last week. Wall Street took its cues from U.S. economic data, from developments in Europe, and from the Federal Reserve, moving mortgage rates lower in New York and nationwide. Pricing for both conforming and FHA mortgage rates improved between Monday and Friday, with the majority of gains occurring late in the week. The timing of the gains explains why Freddie Mac’s weekly mortgage rate report showed the average 30-year fixed rate mortgage rate rising this week when, in fact, it did not. Because Freddie Mac conducts its mortgage rate survey at the start of the week, its survey respondents had no time to acknowledge late-week improvements. Freddie Mac said the 30-year fixed rate mortgage rate rose to 3.41% for home buyers and refinancing households willing to pay 0.7 discount points at closing plus a full set of closing costs. Mortgage applicants choosing zero-point mortgages should expect a higher rate. The biggest event of last week was the Federal Open Market Committee’s seventh scheduled meeting of the year. The FOMC’s post-meeting press release described the U.S. economy as growing, and inflation as stable. The Fed re-iterated its pledge to QE3, a stimulus program geared at keeping mortgage rates suppressed. The group also said it would hold the Fed Funds Rate low until at least mid-2015. Lastly, the Fed showed optimism about the broader U.S. housing market — and for good reason. Since October 2011, housing has trended higher and last week saw the release of the September New Homes Sales report and the September Pending Home Sales Index. Both showed strength. This week, the market’s biggest story is Friday’s release of the October Non-Farm Payrolls report. 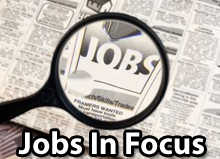 Jobs are a keystone in the U.S. economic recovery so the monthly jobs report holds sway over mortgage rates. If the number of jobs created exceeds Wall Street expectations, mortgage rates in Westchester will rise and purchasing power will shrink. The U.S. economy has added jobs in each of the previous 24 months. In its press release, the Federal Reserve noted that, since its last meeting six weeks ago, the U.S. economy has been expanding “at a moderate pace”, led by growth in household spending. However, “strains in global financial markets” continue to remain threat to U.S. economic growth, a comment which references to the Eurozone and its economy. In addition, the Fed addressed the housing market, stating that there have been “further signs” of improvement, “albeit from a depressed level”. Finally, the Federal Reserve re-affirmed its commitment to its most recent stimulus program, a bond-buying program known as QE3. Via QE3, the Federal Reserve has been purchasing $40 billion in mortgage-backed bonds monthly, with no defined “end date”. QE3 is meant to suppress U.S. mortgage rates. Fed Chairman Ben Bernanke has said that QE3 will remain in place until the U.S. economy has recovered in full, at least. It’s a plan that may help home buyers in New Jersey and nationwide. Since QE3 launched, mortgage rates have moved to new all-time lows. The Fed also used its meeting to announce that it intends to hold the Fed Funds Rate near its target range of 0.000-0.250 percent until mid-2015, at least. 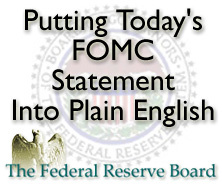 The FOMC’s next scheduled meeting is a two-day event and its last of the year, December 11-12, 2012. As the third quarter closed, home resales showed considerable momentum nationwide. The National Association of REALTORS® reports Existing Home Sales at 4.75 million units in September 2012 on a seasonally-adjusted, annualized basis, an 11 percent increase from one year ago. An “existing home” is a home that’s been previously occupied; a resale. The reading marks the second-highest tally of the year — second only to August 2012 when 4.83 million homes were sold on a seasonally-adjusted, annualized basis. The real estate trade association reports that there are now just 2.32 million previously-occupied homes for sale nationwide. It’s the thinnest national home supply since March 2005 and, at today’s sales pace, all 2.32 million homes would sell in 5.9 months. 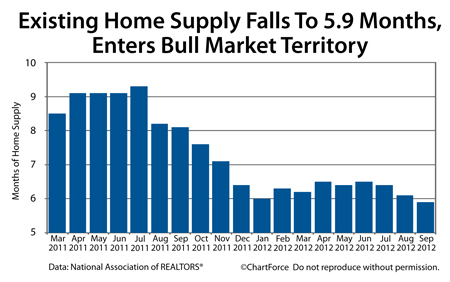 A 6.0-month home supply is thought to represent a market in balance. 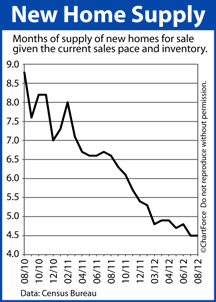 September’s home supply, therefore, suggests a market which favors sellers. Buyers in many U.S. markets may have noticed this shift. Multiple-offer situations are increasingly common and “right-priced” homes are selling quickly. The median Time on Market is down 31 percent from last year to 70 days nationwide. And, although distressed homes remain a large part of the U.S. housing market, their relative size is shrinking. In September, foreclosures and short sales accounted for roughly 1 in 4 home sales. Earlier this year, that figure was 1 in 3. 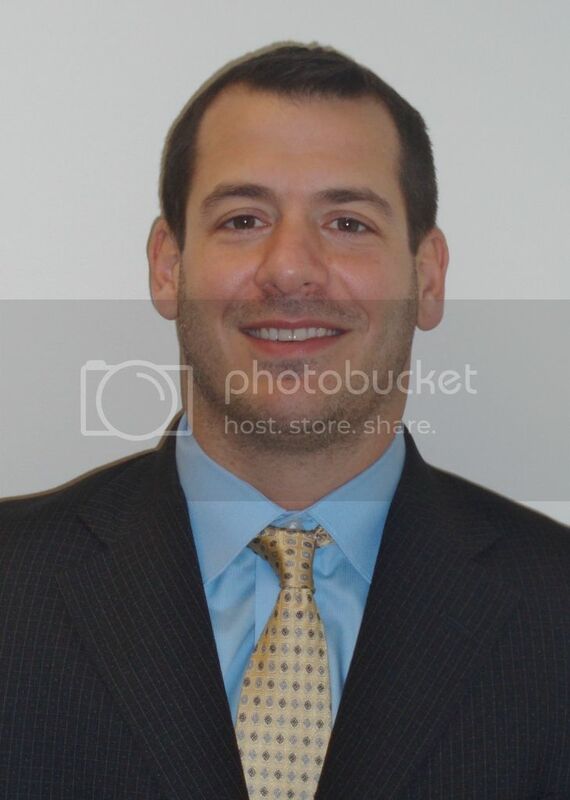 For today’s Bronx home buyer, September’s Existing Home Sales report may be a “buy signal”. 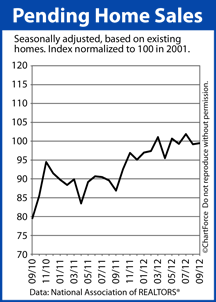 With home supplies down and demand for homes rising, home prices are poised to increase through the last three months of 2012 and into the start 2013. The Forbes list may be interesting but, to home buyers or sellers in Westchester , it’s far from the final word in home values. Real estate remains a local market which means that — even within a given ZIP code — prices can vary based on street and neighborhood, and home characteristics.